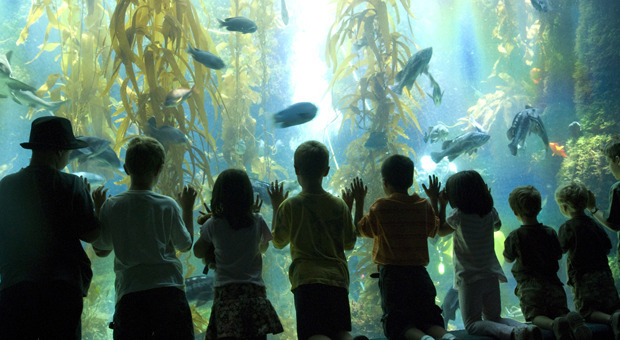 San Diego, located in Southern California, is a perfect place to go whale watching. Every December, up to 20,000 gray whales travel from Alaska to the lagoons of Baja California, where the females give birth to their calves. After several months, when the young whales have grown strong enough, the herd heads back north again. It’s the longest known migration of any animal on earth. 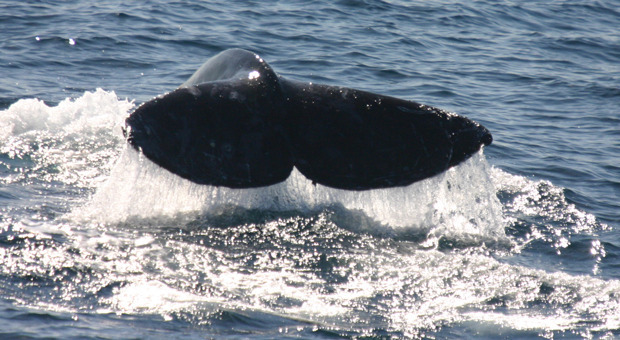 Between June and September, up to 3,000 blue whales, the largest creatures on earth, can be seen in the waters offshore. The often spout a column of water 30 feet in the air that can be seen from miles away and have been known to roll over on their backs to watch the whale watchers! 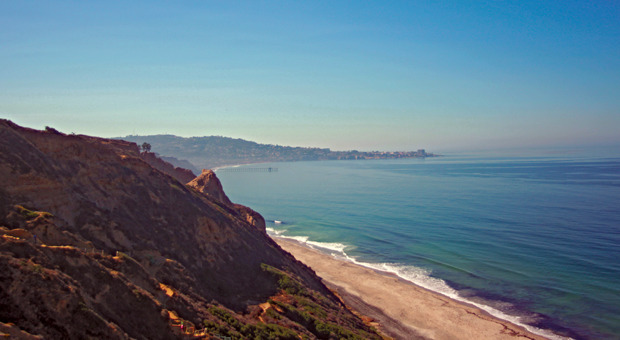 Many people are attracted to San Diego because of its mild climate year round. 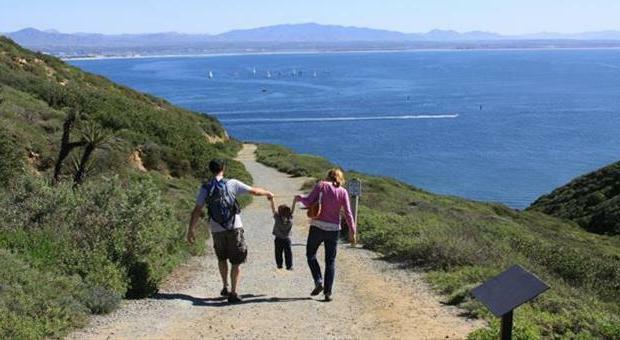 In winter, the gray whales often come so close to land they can be seen from the shore, especially at the Birch Aquarium at Scripps, the Cabrillo National Monument and the Torrey Pines State Reserve, where the hiking trails offer expansive views of the Pacific. 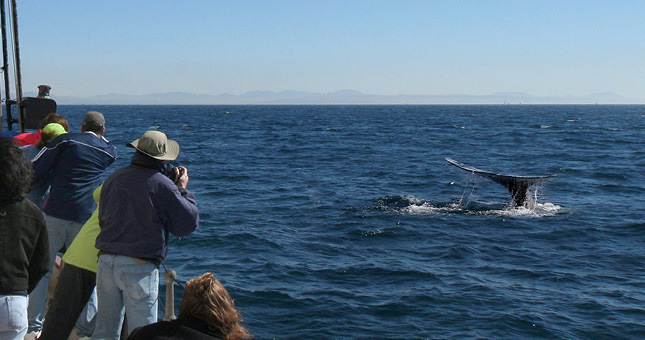 To get a better look at the gray whales or to see the blue whales, tourists can sign up for a whale watching cruise. Boats leave the San Diego waterfront daily, in season, to take visitors to see the whales close up, often for a little as $13 a person. That’s a great deal.